October is the official month dedicated to Breast Cancer Awareness. Though this cause deserves year-round attention, in October, we get to focus on shedding some light on important matters such as early detection and the need for continuous research. In light of this need, many brands have released special products for BCA month with the proceeds benefitting organizations that help breast cancer survivors, breast cancer research, and early detection of the disease. 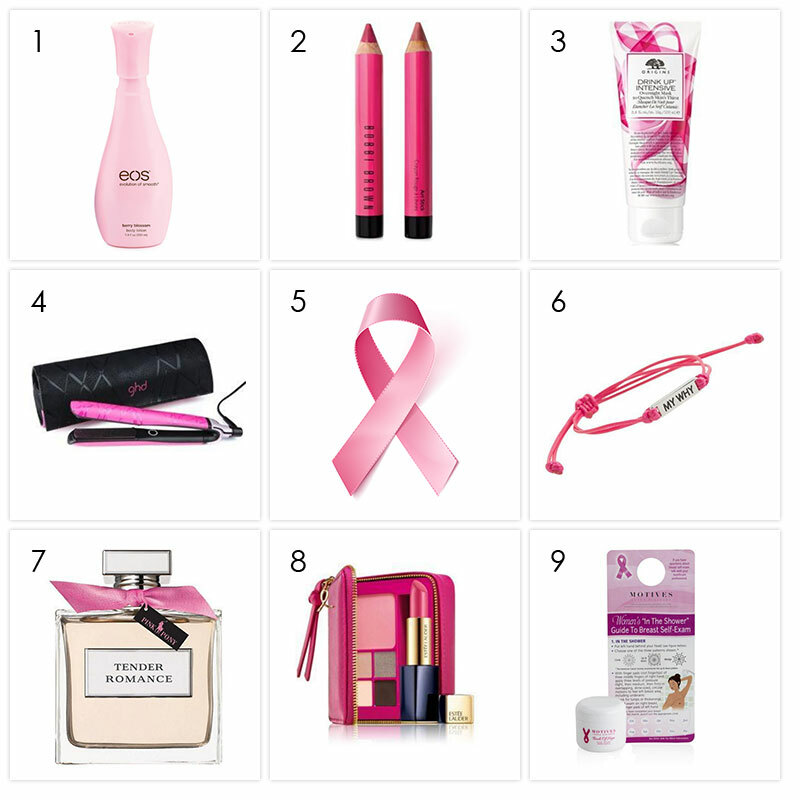 If you'd like to help support this cause by shopping for beauty items you know and love, read ahead for my list of pink-friendly buys. Here's to finding a cure - fast. #1. Eos Evolution of Smooth Body Lotion Berry Blossom: Delight your body. Delight your senses. A moisturizing body lotion with a light, refreshing scent that applies richly, feels light and provides visibly softer skin. In October, Eos will donate 100 percent of net profits to the Memorial Sloan Kettering Cancer Center! #2. Bobbi Brown Art Stick Duo: Pick up these beautiful pink pencils throughout October and help Bobbi Brown donate $10 of the purchase price to the Breast Cancer Research Foundation. #3. Origins BCA Drink Up Intensive Overnight Mask: Origins will donate $5 from the purchase of each overnight mask to the Breast Cancer Research Foundation. #4. GHD Electric Pink Platinum Professional Styler: GHD is donating $5 from each special edition styler to benefit Look Good Feel Better. #5. The Pink Ribbon: The iconic pink ribbon serves as a symbol of Breast Cancer Awareness. Learn more about the pink ribbon, and breast cancer in general, here. #6. My Why Bracelet: Join us in supporting every individual’s WHY by purchasing this limited-edition MY WHY bracelet. For every bracelet sold, $2.50 will be donated to Earlier.org, a unique foundation solely focused on the earlier detection of breast cancer. #7. 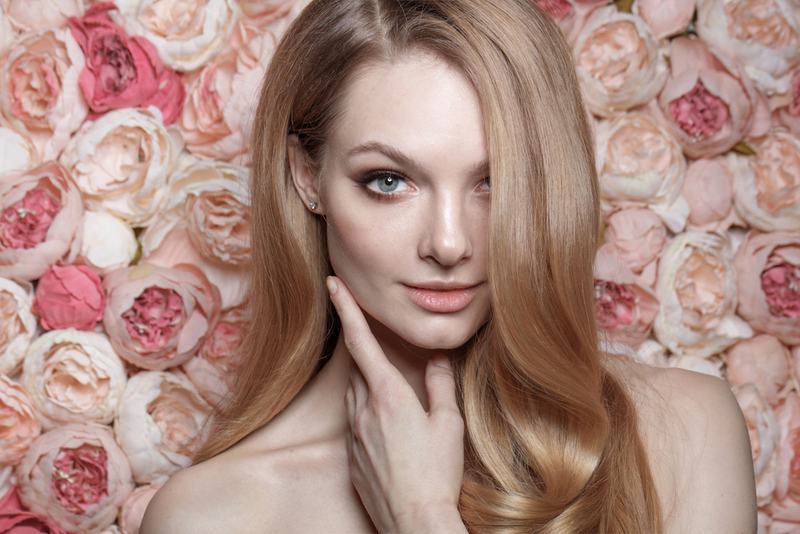 Tender Romance Pink Pony Limited Edition: White magnolia and ginger make up this well-known scent. Throughout October, Ralph Lauren will be donating 100 percent of proceeds from this fragrance to its Pink Pony Fund. #8. Estee Lauder Pink Perfection Set: A colorful way to show your support of the Estee Lauder Companies' Breast Cancer Awareness Campaign: a chic palette with everything you need to highlight lips, eyes and face. For each purchase of Pink Perfection Color Collection, Estee Lauder will donate 100% of the suggested retail price to the Breast Cancer Research Foundation (BCRF) from September 2016 - June 2017. #9. 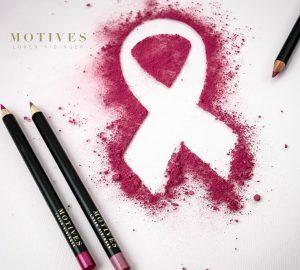 Motives® Touch of Hope Hand Lotion: In partnership with earlier.org, Motives supports the fight against breast cancer with this limited edition hand lotion, Touch of Hope. A super-hydrating lotion that smoothes rough, dry hands, the formula is ideal for both men and women. Included with the purchase of Touch of Hope is a breast self-exam card that serves as a reminder to conduct monthly self-exams, a vital step in discovering breast cancer in its early stages. My Why: Happy Birthday, Amber!